Advocacy of violence is protected by the constitutional guarantee of free speech, unless it will result in imminent or immediate violence. The five activists arrested in connection with the Bhima Koregaon violence: Arun Ferreira, Sudha Bharadwaj, Varavara Rao, Gautam Navlakha and Vernon Gonsalves. In the present climate when civil liberties seem to be endangered, as evident from the Bhima Koregaon case and other incidents, the Supreme Court will have to soon decide which path it will take – the path of Justice Sanford of the US Supreme Court or of Justice Holmes. These were the two divergent paths taken in the decision in Gitlow vs New York (1925), one being of the majority of the Court led by Justice Sanford, the other being of the minority led by Justice Holmes and concurred by Justice Brandeis. The facts of the case were that Gitlow was an American Communist, who brought out the radical newspaper Revolutionary Age. In one of its issue, he published an article titled “Left Wing Manifesto“, modelled on Marx and Engels’s Communist Manifesto. In it, he advocated the establishment of a socialist society by a violent revolution, and he got the paper distributed. He was charged with violating a criminal anarchy law of 1902 and was convicted. The case went up in appeal to the US Supreme Court, where the two divergent judgements were given, the majority upholding the conviction, and the minority setting it aside. The basic difference in the two judgements was about the interpretation of the First Amendment to the US Constitution, which granted freedom of speech to all Americans. According to Justice Sanford, “A single revolutionary spark may kindle a fire, that smoulders for some time, and then bursts into a sweeping and destructive conflagration.” Justice Sanford was of the opinion that the “Manifesto” was not just a philosophical abstraction but a direct incitement to violence against the government and so did not enjoy the protection of the First Amendment. In his dissent, Justice Holmes relied on his “clear and present danger” test, which he had earlier propounded in Schenck vs US. He held that the “Manifesto” presented no clear and present danger of an attempt to overthrow the government by force. This dissent of Justice Holmes in 1925 became the opinion of the Court in 1969 in Brandenburg vs Ohio, in which the US Supreme Court held: “The Constitutional guarantee of free speech does not permit a State to forbid or proscribe the advocacy of the use of force or law violation, except where such advocacy is directed to inciting or producing imminent lawless action, and is likely to incite or produce such action.” In other words, advocacy of violence is protected by the constitutional guarantee of free speech, unless it will result in imminent or immediate violence. I followed the view of Justice Holmes in Government of Andhra Pradesh vs P. Laxmi Devi (para 79), and the view in Brandenburg vs Ohio in Arup Bhuyan vs State of Assam and Sri Indra Das vs State of Assam. But I was sitting in two-judge benches of the Supreme Court when these judgments were delivered. They have yet to be accepted by a constitution bench, i.e. a bench of five judges. In the Bhima Koregaon case, which was heard by a three-judge bench of the Supreme Court, this aspect was totally overlooked, and the Court confined itself to considering whether the Maharashtra police was the proper investigating agency. In my opinion, had the Court applied the tests of Justice Holmes or of Brandenburg vs Ohio, it would have come to the conclusion that the acts of the five accused, even assuming the charges against them to be true, did not constitute a clear and present danger of an imminent violent uprising, and having held so, it should have quashed the proceedings against them. I am sure that more cases of this nature will come soon before the Supreme Court, and it will have to decide which path to follow, the path of Justice Sanford or of Justice Holmes. 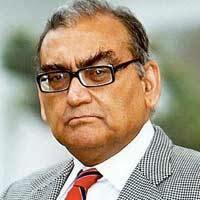 Markandey Katju is a former judge of the Supreme Court of India.